The essence of science is the conviction that the whole universe could be understood and explained in rational terms. To explain something rationally means to understand why it happened and how exactly it happened. For example, various physical processes are observed and then the scientists arrive at a certain conclusion about the nature, the causes and the effects of these processes. On the other hand, the idea that we cannot know the causes of some phenomena belongs to an attitude called irrationalism. Hence, writing a cause essay proves to be a task, which will make you feel as a scientist, at least for a while. 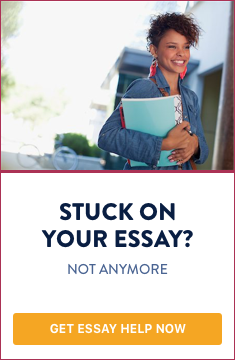 The following steps are inevitable provided you would like to write an excellent essay. Of course, you can develop your own style and then such instructions will prove to be unnecessary. At any rate, they could be a useful starting point if you are a beginner. The topic should be some process or something which is continual and encompasses many people, animals or material objects. The narrower is the process, the harder will be for you to analyze it, and accordingly to find its cause/s. A good topic will be, for instance, the industrialization in the 19th century. How this process took place and why? What were the causes? Historians speak about social and political causes concerning industrialization, but perhaps there were other also? The topic for a cause essay should be some process or something which is continual and encompasses many people, animals or material objects. It is not enough to rely on the knowledge you already have. It is not possible to write a good cause essay if you are certain you know everything about the topic. There are always some facts and events which are dismissed by the historians or other researchers; for that reason it is recommended to write a wide variety of literature. You should first start with introducing the topic of your cause essay. Define what the word “industrialization” means; in what temporal and geographical context it is used and so forth. Here you have to use your knowledge gained during the process of reading. Try to be accurate and to render the proper meaning of the term. This might be your explanation related to the causes of the definite process. Of course, complex processes do not have only one cause, but rather multiple causes. In this sense, you can expose two or even three causes, according to your view on the issue. List them one after another, and articulate them carefully. The arguments in question should support your hypothesis. To be sure the arguments have to be related to the issue and deal with reliable data. Good arguments to be used in a cause essay could be: diagrams, statistics, summaries of the public opinion, surveys, and many others. Since science is no perfect and there is no man of science who is omniscient, you cannot be sure that your hypothesis is absolutely proved. Here is the place to write about alternative explanations or theories. During the writing process, you should keep in mind that the sources of all the data you use need to be indicated very clearly. Hence, you must adhere to a given academic style of citation and formatting. Do not forget also to attach a bibliography at the end of the cause essay. Having written the paper, revise it carefully. Now you have more knowledge on how to write a cause essay. This essay in some sense stands close to research papers, but it does not require so many references and using specific scientific terminology.